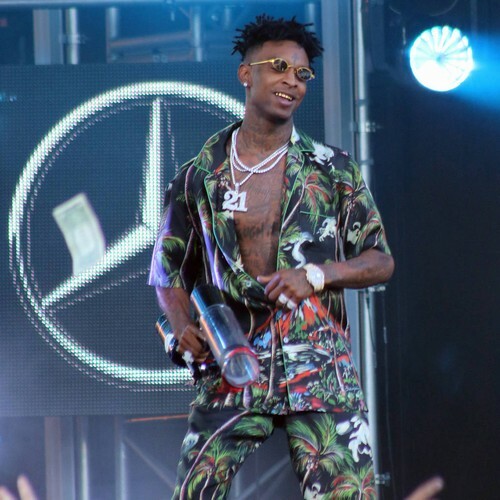 Rapper 21 Savage has been released by U.S. Immigration and Customs Enforcement nine days after he was arrested for reportedly overstaying his visa. Lawyers representing the hitmaker, real name She’yaa Bin Abraham-Joseph, have confirmed the news, revealing he will now face a lengthy deportation hearing, after which it will be decided whether or not he can remain and work in the U.S.
“For the past 9 long days, we, on behalf of She’yaa Bin Abraham-Joseph, known to the world as 21 Savage, have been speaking with ICE to both clarify his actual legal standing, his eligibility for bond, and provide evidence of his extraordinary contributions to his community and society,” his attorneys Charles Kuck, Dina Laporte, and Alex Spiro wrote in a joint statement on Tuesday (12Feb19). JAY-Z led a campaign to win his fellow rapper his freedom, even hiring top immigration lawyer Spiro to help 21 Savage stay in America. He was arrested on 3 February (19) amid allegations he’s a U.K. national who has been living in America since 2005 without the correct paperwork. He was held by Immigration and Customs Enforcement (ICE) officials in Georgia, who threatened to deport him back to England, where he was born. The 99 Problems hitmaker felt 21 Savage’s predicament was “an absolute travesty” and he is insisting he should be “reunited with his children immediately”. “We are not going to stop until he is released, bonded out or in front of a judge…,” Spiro told TMZ last week. In a previous statement, 21 Savage’s lawyer, Kuck, confirmed the rapper was born in the U.K. but arrived in the U.S. legally when he was seven years old, contradicting reports suggesting he was a teenager when he moved to America.